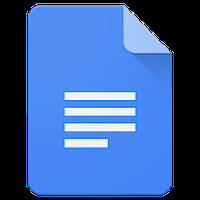 Google Docs Android - Free Download Google Docs App - Google Inc.
"The way to edit documents that Google offers"
App description: With the official Google Docs app, you can create and edit documents in Word, Excel or Powerpoint format, both online and offline. Functions: Lets you create documents in Word, Excel or PowerPoint format. Access to diverse editing function such as font type, font color and highlighting, adding tables, transitions effects in PowerPoint presentations, and others. Activities: Lets you edit documents online simultaneously with other people. Also lets you upload, to the cloud, your documents created in offline mode. Languages: There are different versions for multiple languages, among them English, Spanish, German, French, Arabic, Czech, Danish, Dutch, Finnish, Greek, Italian, Korean, Norwegian, Polish, Russian, Swedish, Turkish, Portuguese. 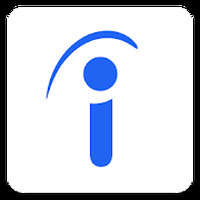 Recommendations: It is undoubtedly designed for users who need to create and edit documents on their Android tablet or cell phone. 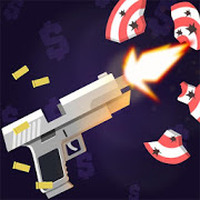 Therefore it is a simple and easy-to-use app, but it doesn't include all the functions or editing options offered by a similar desktop software. Requirements: Android 4.0, and an Internet connection is recommended to use all the available features. Installation requirements: A minimum of 35.01 MB of free memory space and Android 4.1 or higher. You can work with several people at once on the same document. With the new update you can now use the app offline. If you are connected to the Internet, the documents are automatically saved in the cloud as you edit. It lacks the integration of documents from all Google apps in a single place. Do you like Google Docs? I suggest you merge them, maybe?